Carrie Valdez draws on a background in hospitality to bolster her developing employment practice, which targets class action and wage and hour disputes, defense of clients in discrimination and retaliation cases, affirmative action compliance and client counseling. 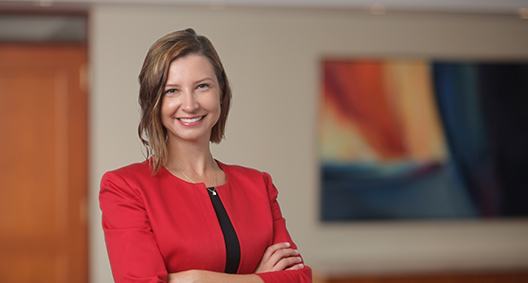 For nearly a decade prior to joining the firm, Carrie served in management and human resources positions at nationally recognized hotel and restaurant companies. She recognizes the importance of understanding clients’ business objectives and embraces a service mindset to address concerns and develop creative solutions. Works closely with a major quick-service food industry leader and other restaurants in all manner of employment law disputes, including discrimination, retaliation and FLSA wage-and-hour litigation, review of personnel policies, and compliance with federal and state laws. Has acted as an outside investigator to companies conducting prompt and thorough investigations into claims of harassment and discrimination brought against senior leadership. Assisted an employment team in obtaining a denial of plaintiffs’ motion for class certification in a nationwide wage and hour class action. Interviewed technology services company managers to gather evidence in support of the client’s opposition to class certification. Conducts wage-and-hour audits for large Ohio hotels. Provides various workplace trainings for management and employees, including equal employment opportunity/discrimination/harassment/retaliation trainings and wage hour trainings. Experience with compliance requirements of the Office of Federal Contracts Compliance Program (OFCCP). Prepares affirmative action plans and counsels organizations through OFCCP compliance requirements, focusing on outreach and recruiting.